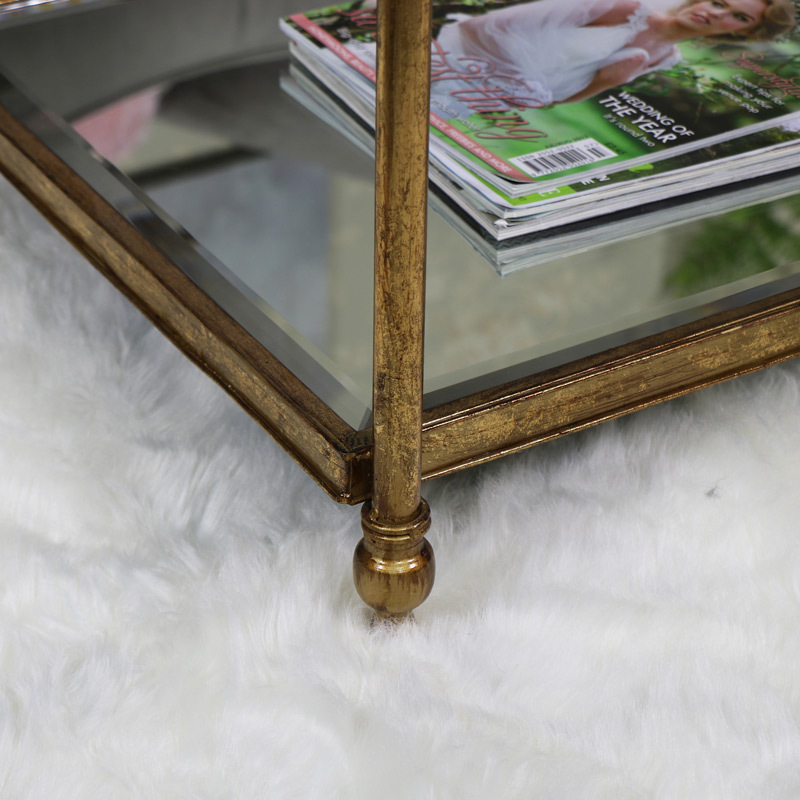 This mirrored table is simply stunning, antique gold mirrored frame with bevelled mirror surfaces. Perfect for adding an air of opulence and luxury to a living room or hallway. With 2 mirrored surfaces, each bevelled to add an elegant look. Beautiful vintage style that will help to create a look of elegance and sophistication to the living room or hallway. Brass finials decorate each corner of the table. Practical and classical elegance combined into one. The mirrored tops help to add a sense of light and space and make the perfect display area. 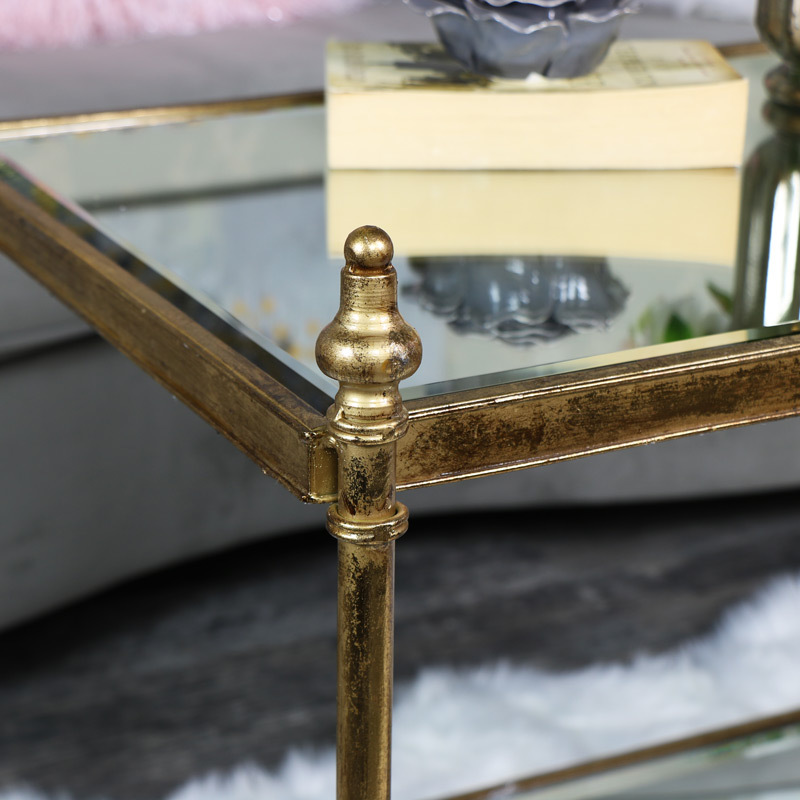 This mirrored table is simply stunning, antique gold mirrored frame with bevelled mirror surfaces. Perfect for adding an air of opulence and luxury to a living room or hallway. With 2 mirrored surfaces, each bevelled to add an elegant look. Beautiful vintage style that will help to create a look of elegance and sophistication to the living room or hallway. Brass finials decorate each corner of the table. Practical and classical elegance combined into one. The mirrored tops help to add a sense of light and space and make the perfect display area. Antiqued gold metal base with a sturdy mirrored table tops. We also have this beautiful table available in a smaller size.